The Midwest Women in Tech (MWiT) Conference is powered by Women Tech Founders (WTF). MWiT is your opportunity to meet, celebrate, and learn from the region’s most influential female tech leaders. This full-day event is designed to rally powerful female leaders together to share insights on what we can do to change our collective future. Women-led companies show 12% higher profits and 35% higher ROIs but, less than 10% of women-led companies get funded. Less than 30% of corporate leaders are women. More than at any other time in history, women can change the world. That’s because today, tech is more accessible, more affordable, and more powerful than ever before. Women can use technology, not just as consumers, but as creators – to empower themselves, reach millions, and redefine our future. It's all the more reason we need WTF. 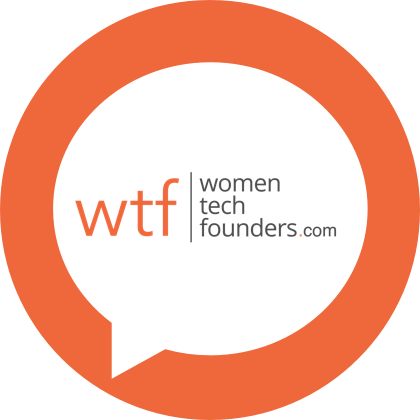 Women Tech Founders (WTF), is a grassroots association launched through the efforts of passionate women in the region’s startup ecosystem. We are working to ensure women make up a larger fraction of the tech industry and have access to the well-paid, plentiful, and influential jobs of the future within that industry. Women Tech Founders is currently celebrating it's 2nd anniversary and welcomes your participation. Get in touch and tell us, what's your WTF moment?